Kindal is using Smore newsletters to spread the word online. What time period did they live in? They originated in Mesopotamia and then in 1950 BC the migrated to current day Israel. 1 : 1 הקריאה הראשונה. בראשית ברא אלוהים את שמים ואת הארץ . ברא בראשית אלוהים et Hashamayim ve'et ha'arets . 1 : 2הארץ הייתה ללא טופס ריק , עם חושך עלפני התהום , אבל רוחו של אלוהים עברה על פני השטח של המים . Veha'arets hayetah תוהו vavohu vechoshech אל- peney תהום veruach אלוהים merachefet hamayim אל- peney . 1 : 3 אלוהים אמר , ' לא יהיה אור , "והאור בא לידי קיום. ותאמר אלהים יהי - או ויהי - או . והירא אלוהים אלוהים beyn ha'or uveyn hachoshech . 1:2The earth was without form and empty, with darkness on the face of the depths, but God's spirit moved on the water's surface. 1:3God said, 'There shall be light,' and light came into existence. 1:4God saw that the light was good, and God divided between the light and the darkness. 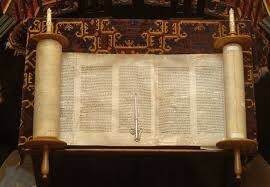 The Hebrews biggest achievement is the Torah is what they live by everyday of the week. It's basically like how Christians have a bible they have a Torah or the Dead Sea scroll. In Judaism the law of God as revealed to Moses and recorded in the first five books of the Hebrew scripture. 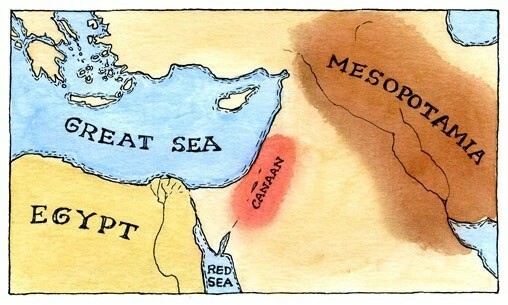 This map is showing how the hebrews fled Egypt and traveled to Canaan. This happened before they decided to migrate to what is now Current day Israel. 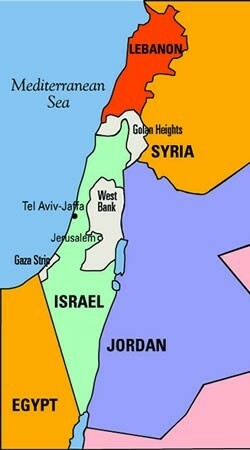 This map is showing where they migrated to and what they were surrounded by. Analysis of the hebrews, Why are they significant? Hebrews are important or significant because they are Gods chosen people. They are the direct descendants of Abraham who God promised the number of grains of sand and the number of stars there are as the amount of children he had and Isaac who was his first born true son and Jacob, who is the son of Isaac and the one who was renamed by God Israel.